We are pleased to present a quiet, spacious one bedroom apartment with a wardrobe, facing the courtyard, available for sale in the modern Angel City complex in the center of Krakow. We offer a modern apartment located close to the city center (approx. 15 minutes walk to the Main Market Square) available for sale. Hamilton May would like to present the opportunity to purchase a well equipped one bedroom apartment in a high standard modern apartment building. 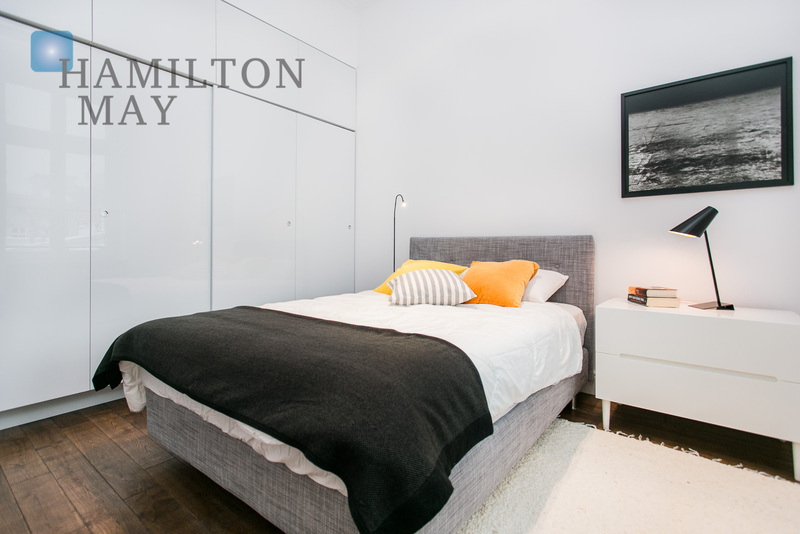 Hamilton May is pleased to present a unique one bedroom apartment in a townhouse in the Old Town. Hamilton May is pleased to present a one bedroom apartment offered for sale in a new investment in an extremely attractive location - Wola Justowska. Hamilton May presents a brand new one bedroom apartment in a newly built development at ul Kościuszki 24 in Salwator. Hamilton May is pleased to present a two bedroom apartment located in the Old Town area. Hamilton May offers a very high standard, quiet, one bedroom apartment of 56.97m2, situated in the immediate vicinity of the Vistula Boulevards. One-bedroom apartments are the most popular apartment type in Krakow, so Hamilton May always has a good selection of such apartments to buy in various standards and locations throughout the city. The vast majority of Polish people live in quite compact apartments, often with one bedroom – in Polish, a one bedroom apartment is referred to as a two room apartment. Family groups or groups of friends will often live in such apartments, with one room serving two functions – as a living area during the day and then a bedroom at night. Expats who live in one-bedroom apartments will generally be either a single person or couple. The standard size of a one bedroom apartment in Krakow is approximately 40-50 square metres, though developers have recently begun offering smaller apartments in the range of 30-40 square metres with this layout. Occasionally, larger apartments (often in older tenement buildings) will be up to 70 square metres with a one bedroom layout. The price for one-bedroom apartments is determined more by the location and standard of the apartment rather than the size. Average prices of one-bedroom apartments in the Hamilton May offer, which are of a high standard, are generally around 300 000 to 500 000 PLN. One bedroom apartments are popular with investors, who can easily rent out their apartments to either local or expat tenants.